"Wow, that was close! You can be the center." The Canadian basketball player is a basketball player for the Canadian Olympic basketball team. After Greta Wolfcastle dumped Milhouse and refused to take back Bart, the two boys were left in Toronto without anything to do. Bart then got an idea they ran off. The two were then seen playing a game with the Canadian Olympic basketball team. Milhouse was surprised that they were able to join the team so easily. Bart tried to shoot the ball into the basket, but it hit the backboard and bounced off. 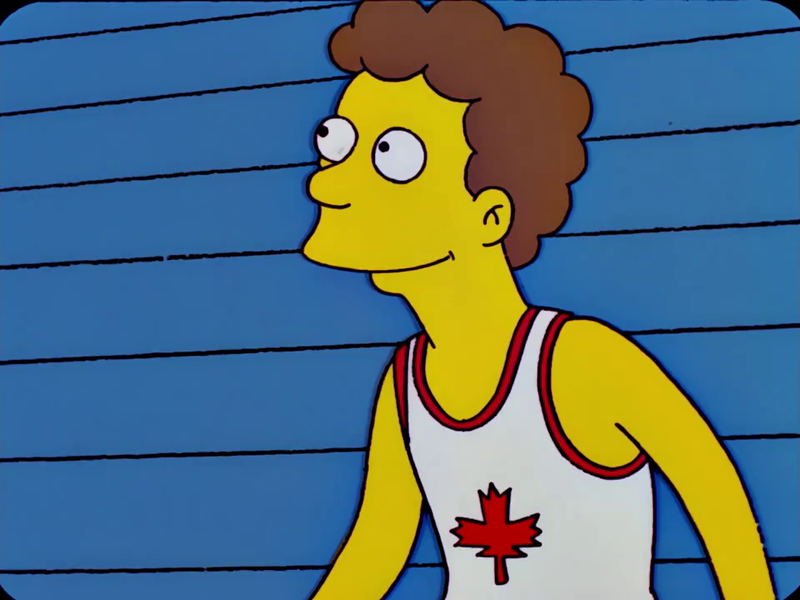 The Canadian basketball player then said that Bart could be the center, because of how close he was to scoring. Modified on March 16, 2015, at 01:15.